What made you go for Krrish 4? Every year, I am called for the King Circle Ganpati darshan. This year I said I must 'Go'. When I reached there, I could not believe my eyes. The Ganpati idol resembled Krrish. I saw so many people praying so fervently. I realised that they had so much of faith in the only superhero of India. I decided that I must make Krrish 4 now. I had a vague idea of the film's story and how we can make it. We can't spent equivalent to what is spent on a superhero film in Hollywood, so we ought to concentrate more on content. I called up Hrithik and narrated the idea. Pinky (wife) and Hrithik both said: Wow, why didn't you think of this before? I remember meeting the parents of a 2-year old who said that their child neither drinks milk nor eats anything unless and until he sees Koi Mil Gaya. So, they've had to play the film for him every day. 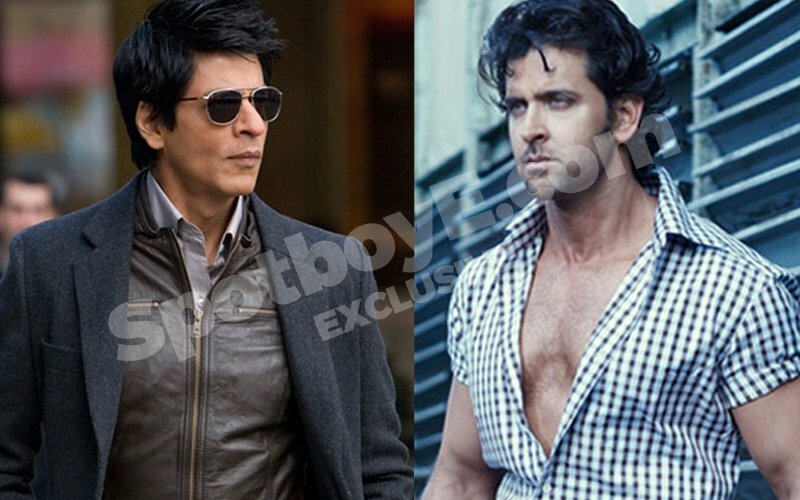 Does Hrithik have a double role again? So what's the story of Krrish 4? As of now, I just have the beginning, middle and end. I am still developing the script. Are you done with Kaabil? Yes, barring a few days of patchwork. And Hrithik is outstanding in the film. I am saying this not because he is my son but because people will know what an actor he is. Yami is excellent. 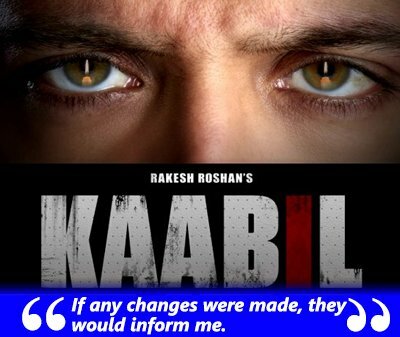 Sanjay Gupta (director) has done a better job than what I would have done if I had directed Kaabil. 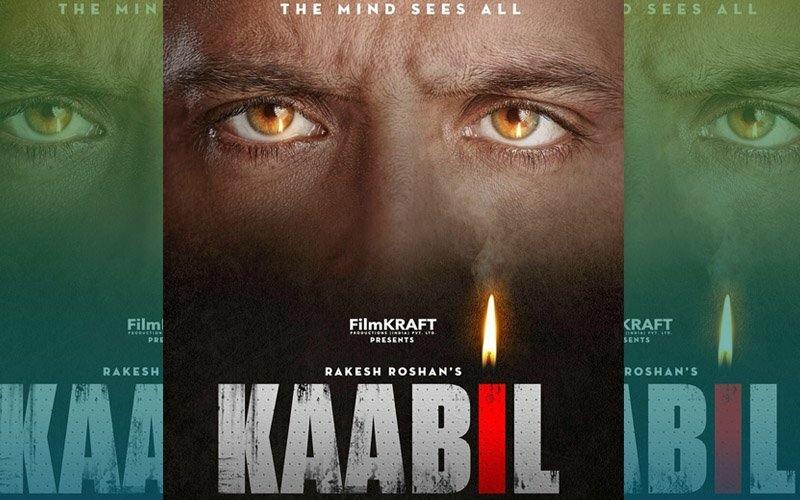 Were you a hands-on producer for Kaabil? Of course, but not on the set. Let me say that I was involved at every stage. If any changes were made, they would inform me. And,I would see the parts that were shot on daily basis. Did you ask for a re-shoot of any portion? Not really, except a few minor things. It's so nice that Sanjay and I have been on the same page throughout. And how can I forget that I have some outstanding music by my brother Rajesh in Kaabil? Kaabil will generate a lot of curiosity. Hrithik and Yami both play blind and mind you, they are very happy and bubbly and not helpless. And then something happens that changes Hrithik's life completely. The film has a very interesting screenplay in how a blind man takes his revenge. To get into a blind man's role, Hrithik interacted with a blind guy who would come in a rickshaw from Dombivli to Juhu. He often had lunch with us and mind you, he wouldn't drop a morsel. I disagree. It is easy to enact something special but difficult to be normal. 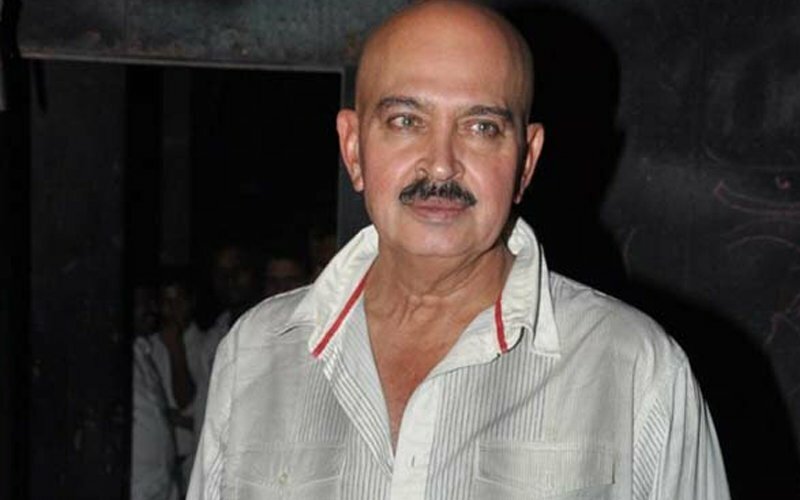 Will Rajesh Roshan give music for Krrish 4 too? Of course. We are the four pillars of Filmkraft- producer, director, actor and music composer. Importantly, all four are talented. You count yourself as two pillars? The double pillar is an independent producer who never relied on studios. Today, the studio culture is collapsing. Did you see this coming? The model of film-making will have to be changed in India. Do you know why Studios thrive in Hollywood? That's because top cinematographers and scriptwriters head them. I interacted with them when I wanted to release Kites abroad. I saw that the people who sat in the conferences were not the CEOs, COOs etc- but people from their film industry. If our Studios take people who are experienced, they will never lose money. 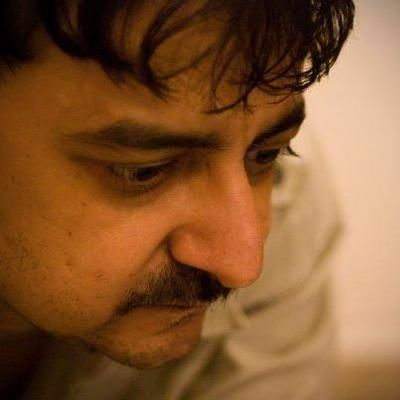 A producer should be the Jack of all Trades, he should know what ties the film together. Only money can never make a film. With reduction in number of Studios, what will happen? 2017 onward, fewer films will be made. Mukesh Bhatt, YRF and I have our network of distributors. However, others may have to release their films themselves and might find it difficult to carry out their business. Stars, including your son Hrithik, are said to charge a bomb. Doesn't this put pressure on the film's budget and the Studio in question? Yes, but let me tell you something. Whatever they charge, the producer who has a SRK, Salman, Hrithik or any big star in his film is not going to sell the film at an economical price.. I have done the reverse for Kaabil. I have sold it at 50 per cent of the price which one normally gets for a Hrithik film. My all-India sale is not more than Rs 50 crore. So even if my film does Rs 100 crore, everyone stands to not lose money. Is this the first time you doing like this? Yes, I don't want any distributor to lose money. The sharing will be more in my space, else I would have sold them for a higher price. But having invested lesser, they are far more covered than otherwise. Talking on this subject, Mukesh Bhatt told us that "actors will have to charge lesser upfront and resort to taking back-end profits". Yes, but then they would like to do that with only those whom they trust. How many producers are really transparent and accountable today? It's going to be a tough time for the industry, which may even come to almost a standstill. We may see very few films being made because of Studios having folded up. Did you foresee this crisis? I knew this was coming. Producers churning out five films in a year and only being a hit, how can it augur well for the industry? Naturally, studios started bleeding. But if you rewind, history has it that producers who make films in quick succession have had to literally 'pack up'. I wouldn't name them, but I think we all know who all I am talking about. What is the mood at home when a Hrithik film flops? Do you sit down with him and explain? Our family has seen many ups and downs. We are not afraid of failure. My films as a filmmaker have done well, but Hrithik has seen my tough times when most of my films as an actor failed. I think only 5-6 films of my mine clicked. Besides, that's a part of the game. If you don't come down, you won't climb higher. It is better to go down by 2 steps and then go up by 4. Did the failure of Mohenjo Daro really didn't hit Hrithik? It may have, if his performance had been criticised. That didn't happen. You can absorb 2 films over a period of 5 holidays. But two films will definitely eat into each other's business if there's just a 1-day holiday. 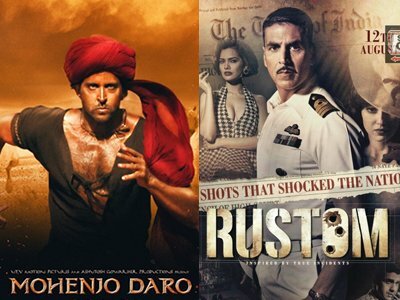 FYI, Mohenjo Daro was announced much before Rustom. I announced Kaabil first. Somebody encroaches on it, how can I help it? I remember delaying King Uncle and getting very superstitious after it failed. After that, I didn't even tamper the date of Hrithik's debut Kaho Na Pyaar Hai. It was sandwiched between Mela, Phir Bhi Dil Hai Hindustani and Pukar. Distributors advised me to shift the date. 3 distributors even left my film. Yet I did not budge. That's because I hadn't started work on Krrish 4. Our industry needs some norms and ethics. Egos should never come in the way. 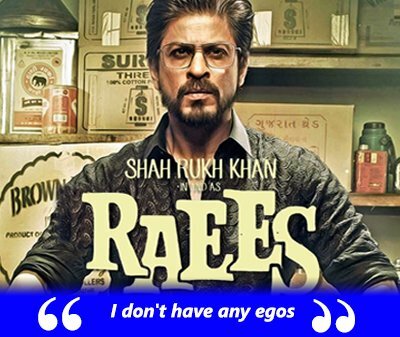 I would have shifted Kaabil if I hadsn't announced it before Raees. I don't have any egos. 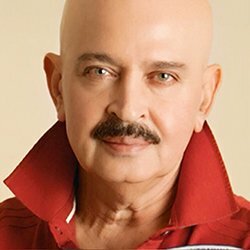 I am still the same hardworking, punctual Rakesh Roshan who entered the film industry when he was 17 years old. I immediately reach out to people who want to reach out to me, be it even on mobile or text. You are only producing Kaabil. Is it likely that we see another film from your stable before you direct Krrish 4? Unlikely, unless somebody comes to me with a bound script which I like and I don't have to invest anytime in it. I spent 6 months on the script of Kaabil. There have been a couple of ups and downs in your family- Hrithik's separation with Sussanne, Kangana Ranaut controversy. Moreover, so much has been written about it. How do you'll deal with it? Hrithik has an inherent strength in him. False allegations have been levied against him, but he has kept silent till now. However, he will talk one day for sure (pauses). His silence has been misinterpreted, we both know the inside story. But he will talk one day when the time is right. You are referring to the Kangana controversy, right? Kangana asks that why does Hrithik need his dad to speak up for him? Yes, I am talking about the second one. The first (Read: Sussanne) was destiny, the second one was something else. No more quotes on this topic, please. You guys will have to wait for Hrithik to speak up. Don't you tell him that he should continue to stay with you and not in his new flat? No, he is always with me in the morning or evening for his gym of two hours. Look, he needs his privacy na? if i am around, how will he entertain people? Do you sometimes feel that you shouldn't have patched up with Kangana after Krrish and cast her in Kites? There is nothing like that. As I said, the truth will come out. Let Hrithik talk about it. I don't want to come out and talk. But being a father and someone who was associated with those films, I definitely know every inch of whatever happened. 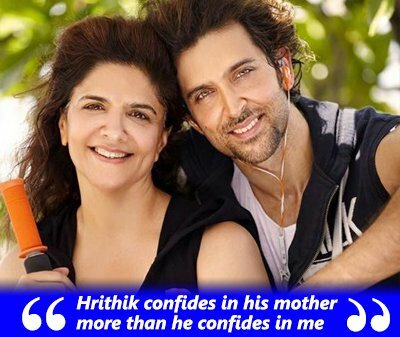 Is Hrithik closer to you than to his mother? Hrithik confides in his mother more than he confides in me, right from his school days it has been like that. I remember he did a scene from Anari in school and my wife was told before I came to know about it. Right from that time, I knew that he would turn out to be a great actor. You made films at a frenzied pace. Haven't you slowed down? With time, family grows and so does responsibility. I am 67 now and completed 50 years in the film industry. Shouldn't I relax and enjoy a bit now? 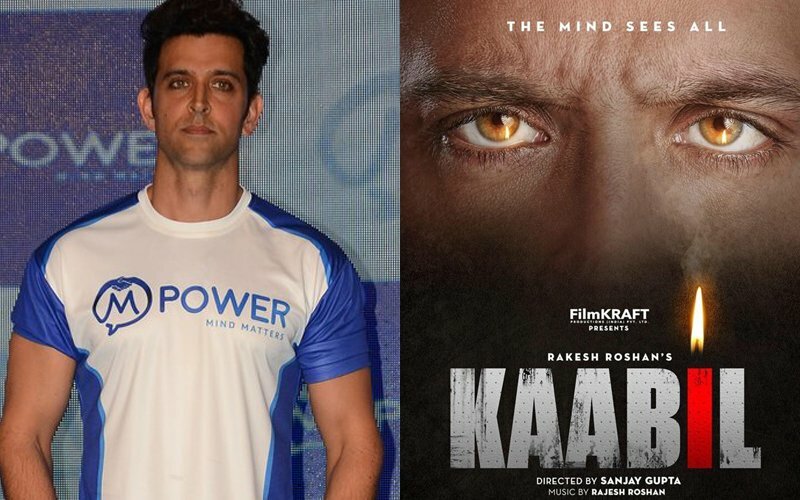 How much do you decide when Hrithik gets a film offer? Nothing, he takes his own decisions. 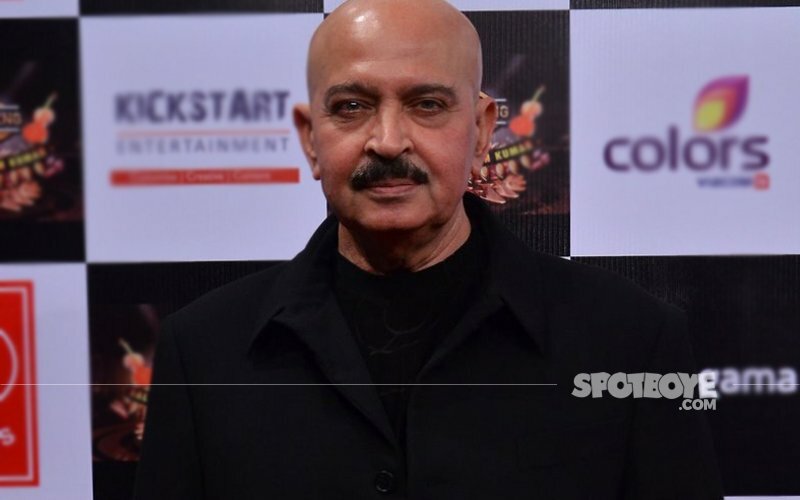 Why doesn't your brother Rajesh Roshan get enough work? That's his bad luck. His one of the most talented musicians around. Another reason could be because he is not diplomatic. Is it necessary to be diplomatic in Bollywood? Your most favourite film of your banner Filmkraft? Difficult to choose, but i would single out Koi Mil Gaya to be the most difficult one to make. It is very difficult to make a grown up man walk and talk like a kid. No, the story has moved ahead. Would you like Hrehaan and Hridhaan to be actors? Of course, and why not? If they have talent, aptitude and attitude, I will be the first one to suggest it to them. Right now apart from musical instruments, they are also learning how to flip backwards and forwards- a tutor comes to make them learn. 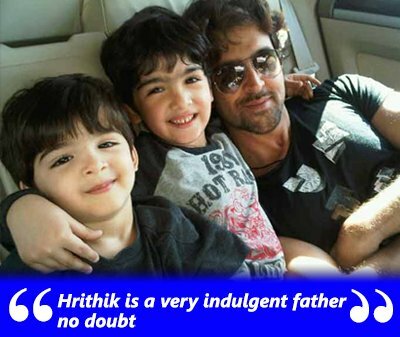 Hrithik is a very indulgent father no doubt. Every Saturday and Sunday he spends with his sons. He takes them out for holidays. He teaches them piano, guitar and even Hindi. He even takes a very keen interest in their studies. Last time out when he took them abroad, he taught them archery. Are you happy in Palazzo in Juhu, or would you have preferred to stay in a bungalow? I am very happy. Maintaining a bungalow is a big headache. Here, I close just one door and everything gets safe. Besides, I have 3 floors to myself- 8, 9 and 10. I think I live in a bunglow in the sky. Look Who Just Joined Twitter? 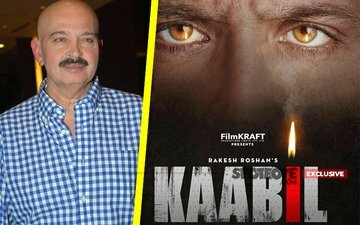 Kaabil Producer – Rakesh Roshan!